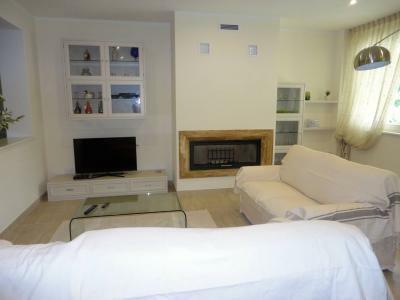 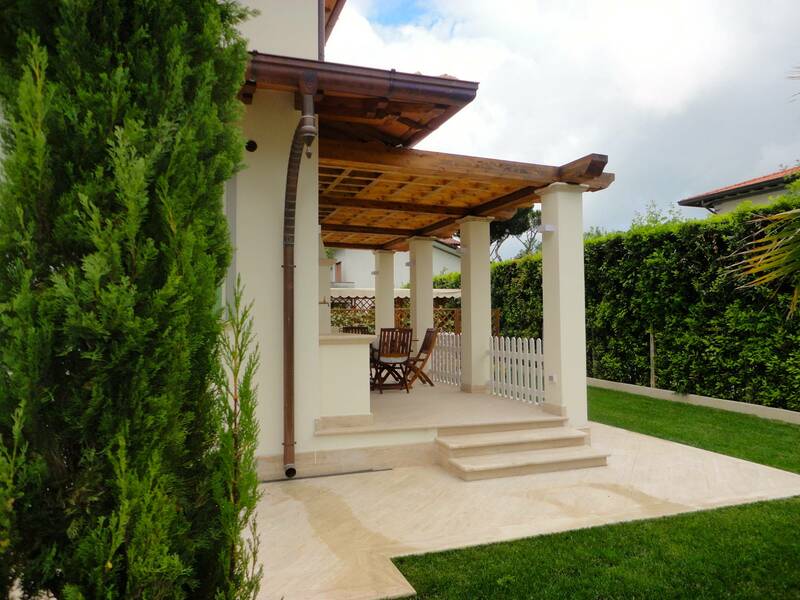 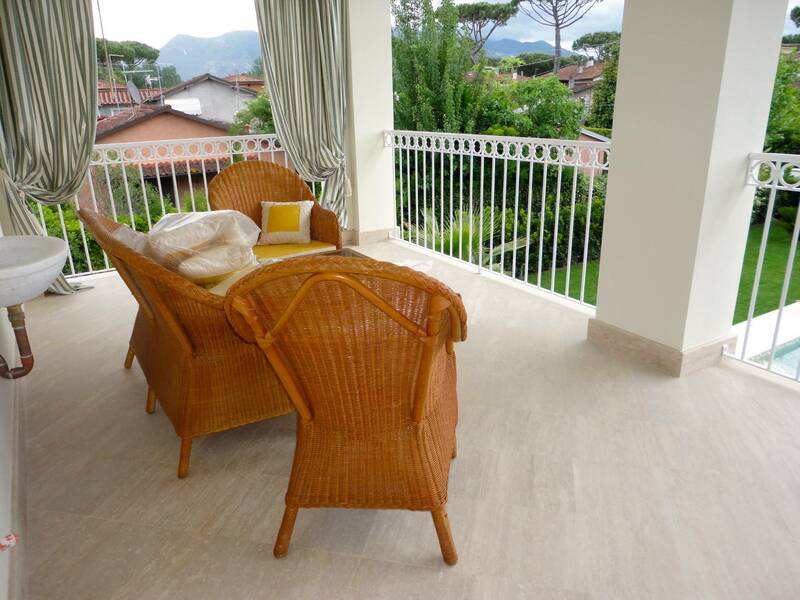 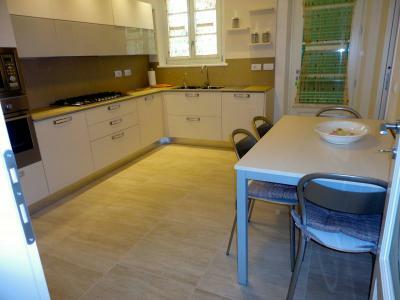 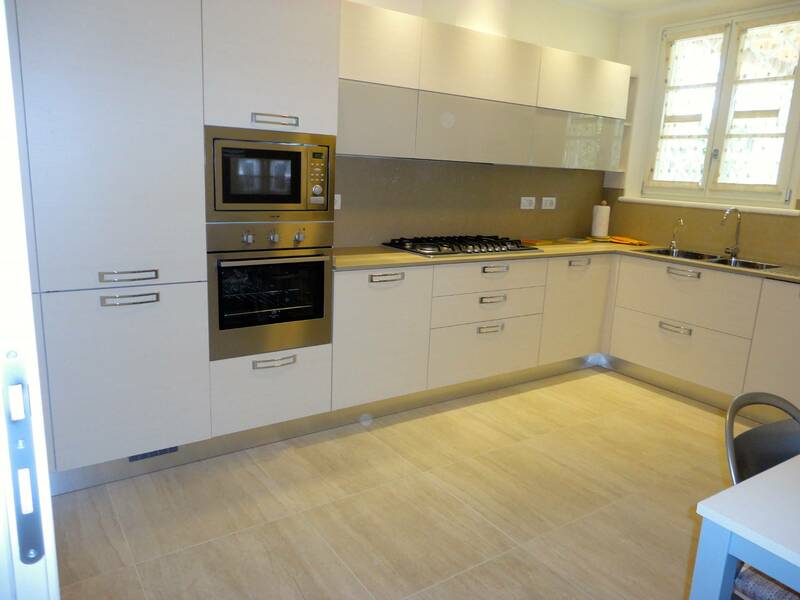 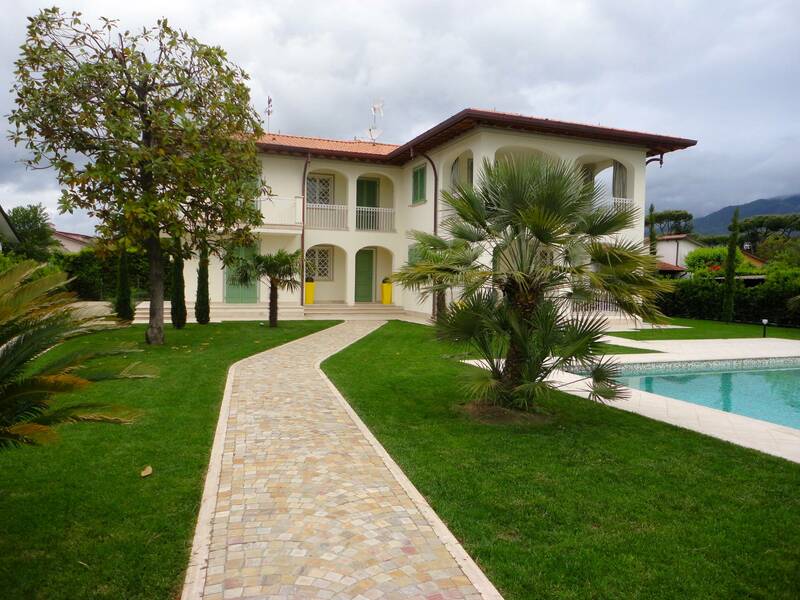 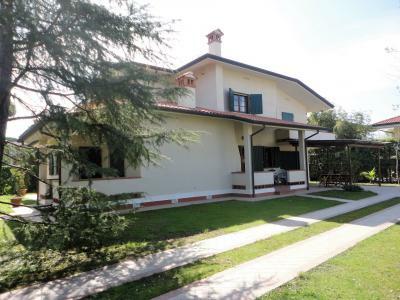 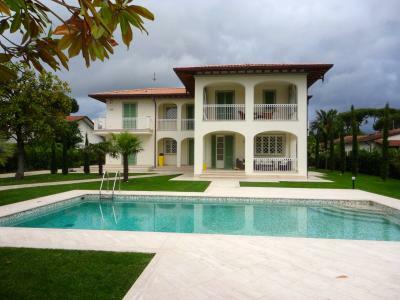 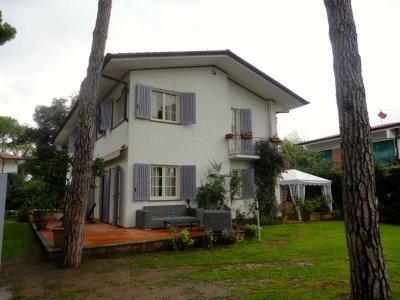 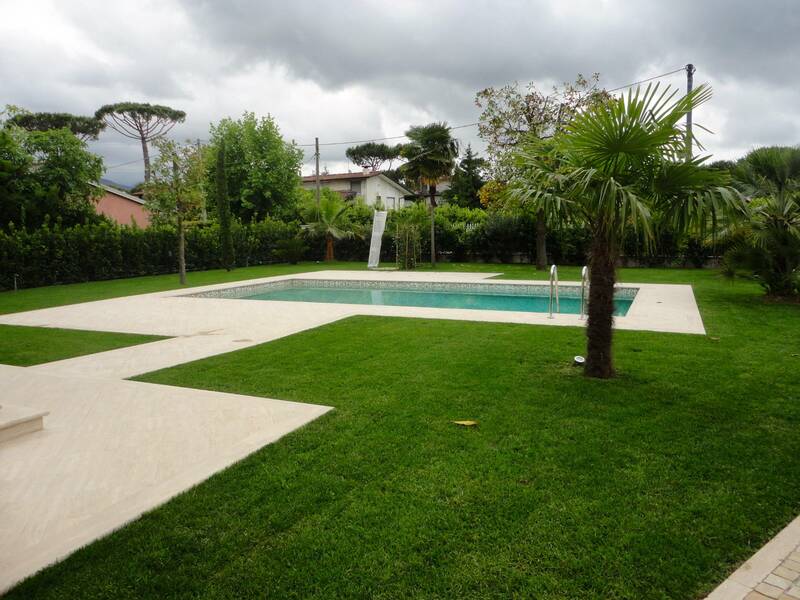 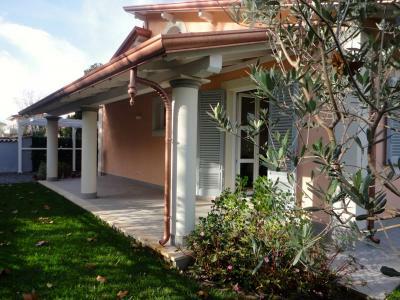 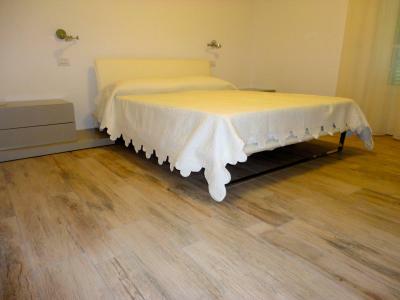 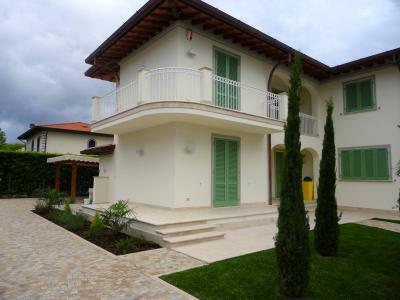 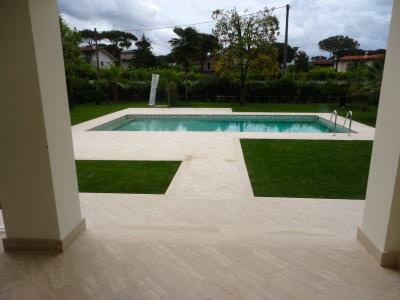 Forte dei Marmi, Center, rent a summer villa completed in 2013. 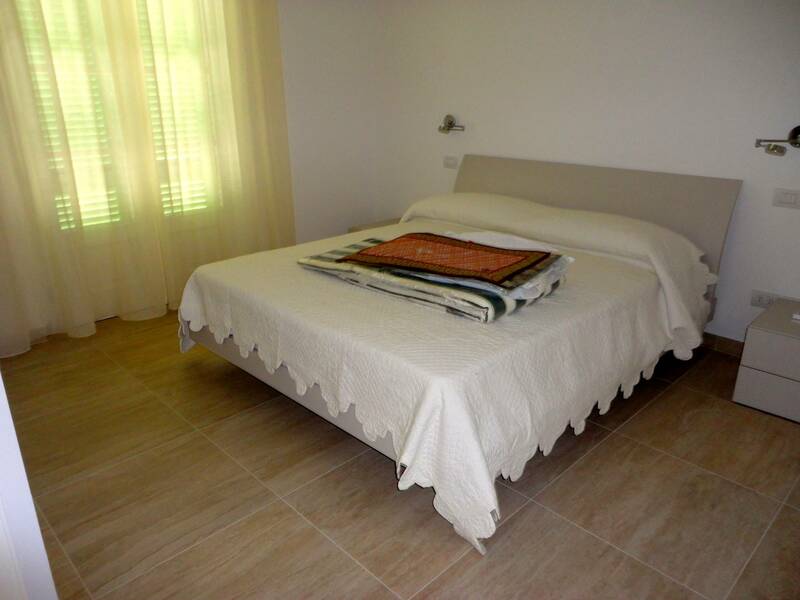 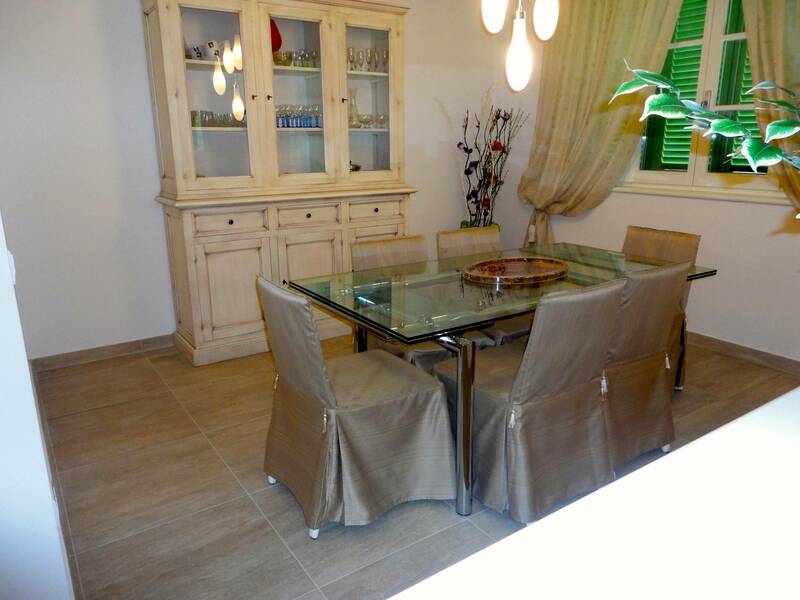 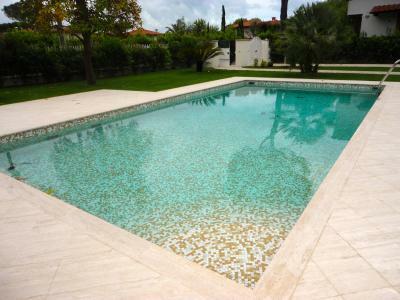 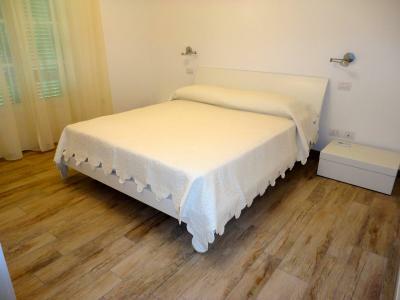 The villa has five bedrooms, including a ground floor twin rooms, all with private bathroom. On the ground floor the villa comprises: lounge, dining room, kitchen, pantry, bathroom, double bedroom with bathroom. 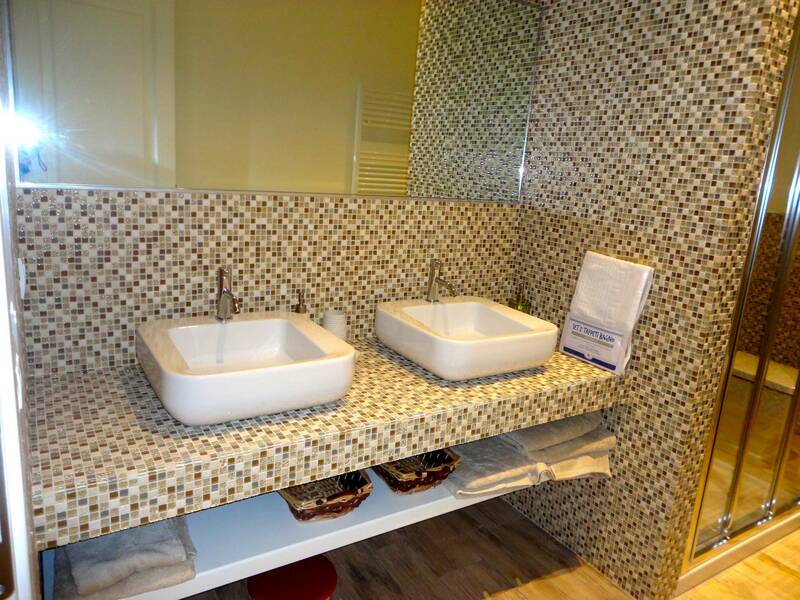 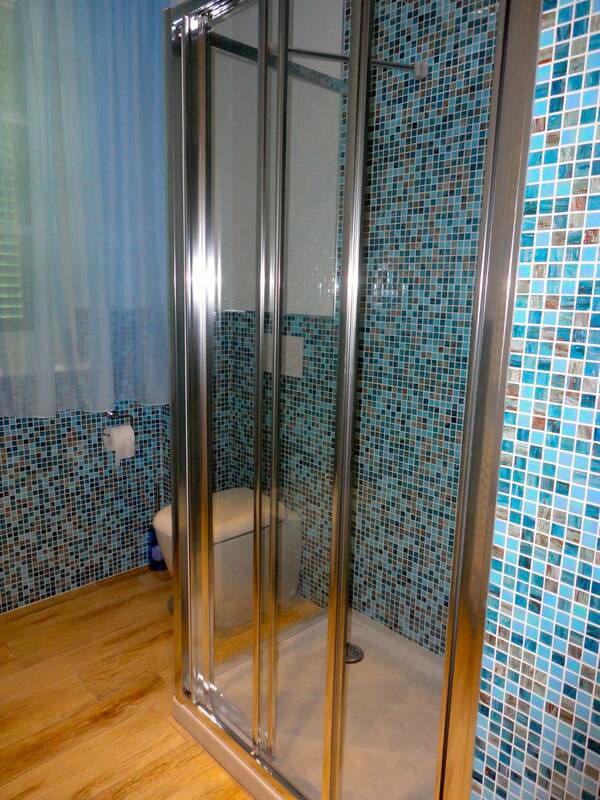 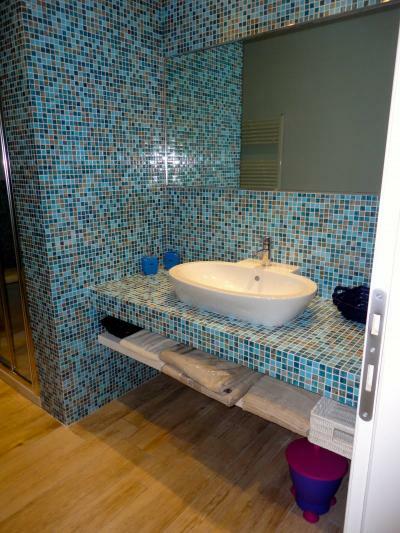 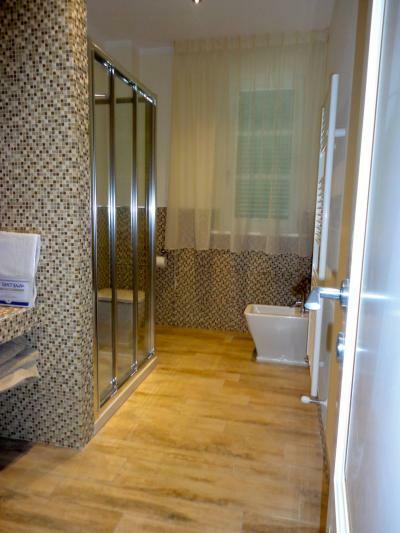 On the first floor there are three double rooms with bathroom and a single bath. The villa has some large covered balconies, one of which overlooks the front garden where there is a swimming pool with mosaic tiles. 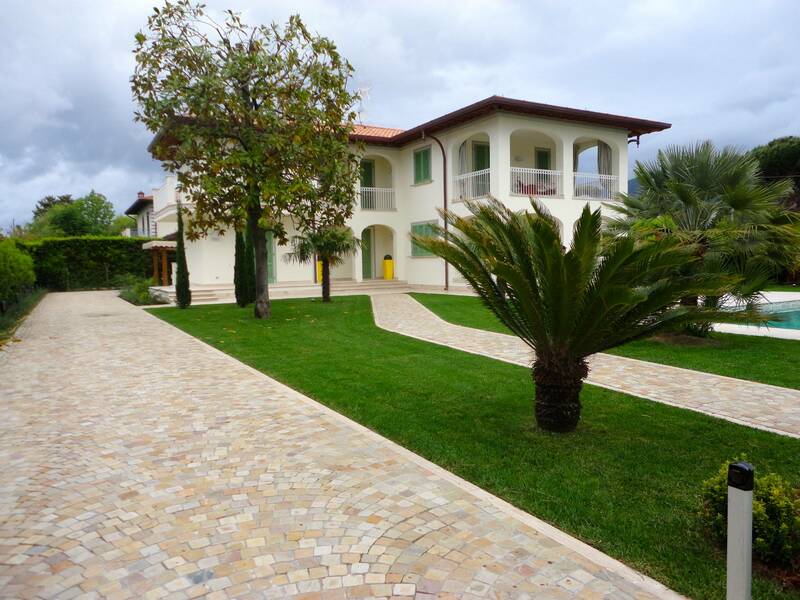 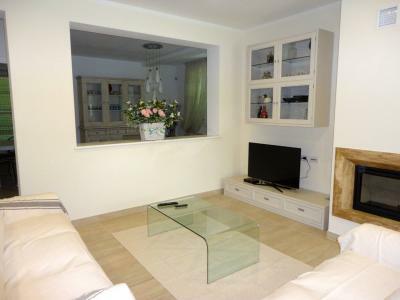 The villa has air conditioning even on the ground floor, internet wi.fi, alarm system, satellite dish.